15 available 15 items in stock. Sale items are not eligible for quantity discounts. When paired with the SparkFun Base Kit for Intel® Edison, this kit provides a set of hardware to start using Android Things™. Android Things is a software suite that combines an embedded OS, core services, developer kit and developer console. The Intel Edison and Edison blocks are the main components and are natively supported in Android Things. These hardware solutions, combined with Android Things, provide a complete set of tools for developing a connected device with full support and features, as well as the flexibility to take your idea from prototype to production and even to scale without the need for complete redesigns. 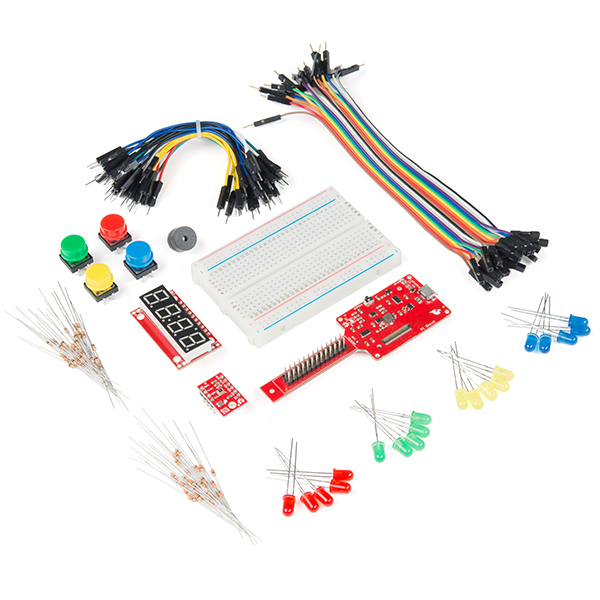 The SparkFun Project Kit for Intel Edison and Android Things, when combined with the SparkFun Base Kit for Intel Edison, provides everything needed to introduce you to the Brillo IoT landscape. Simply attach the Raspberry Pi Block to your Edison, and you can begin to play with the included 7-segment display, BME280 Breakout, LEDs and more!